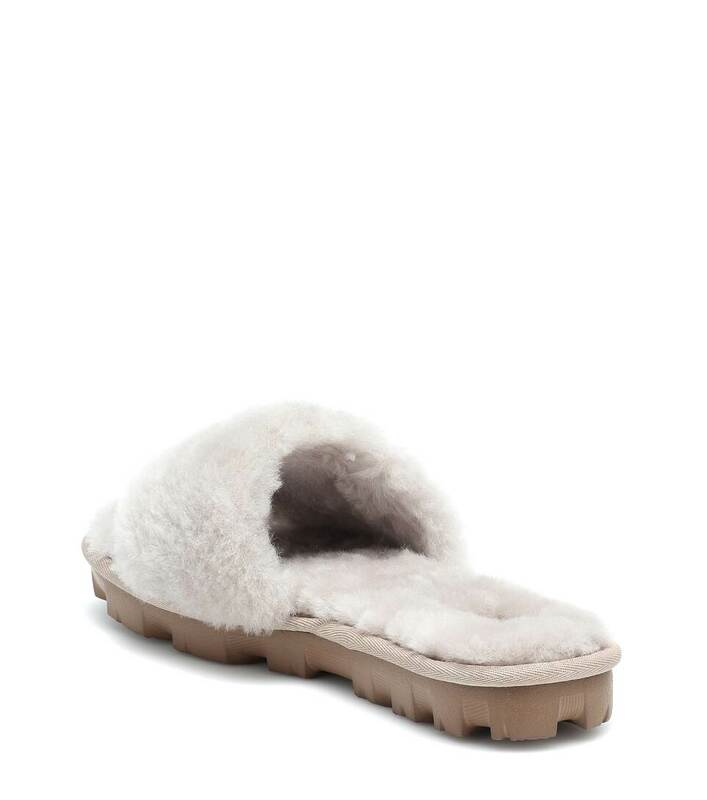 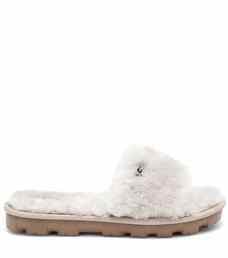 UGG's cozy Cozette slides come covered in soft shearling for sublimely comfortable wear. 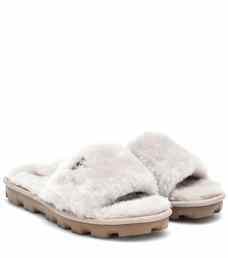 The open toe and fuzzy feel lends this pair casual style points, while the rubber sole ensures they can be a street-friendly look. 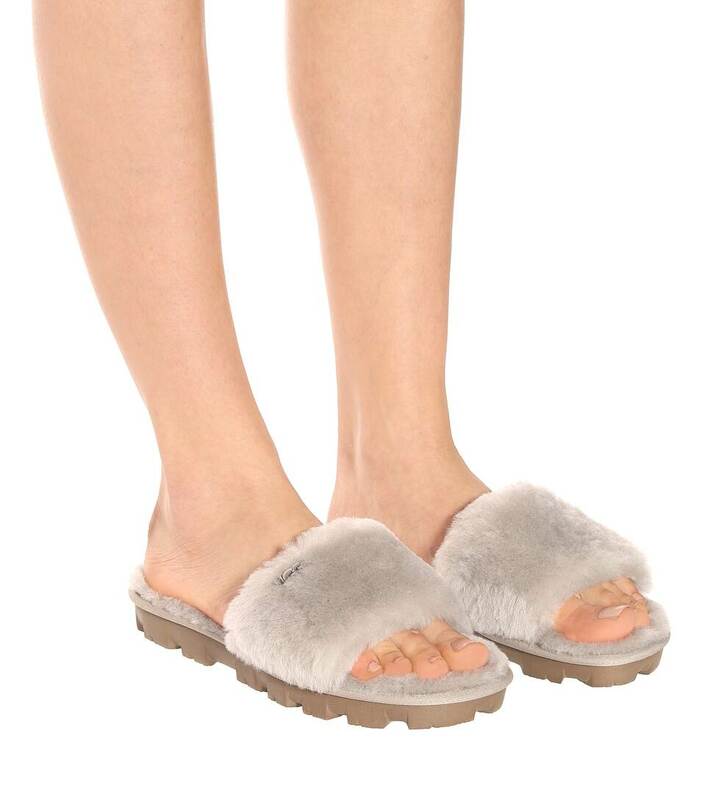 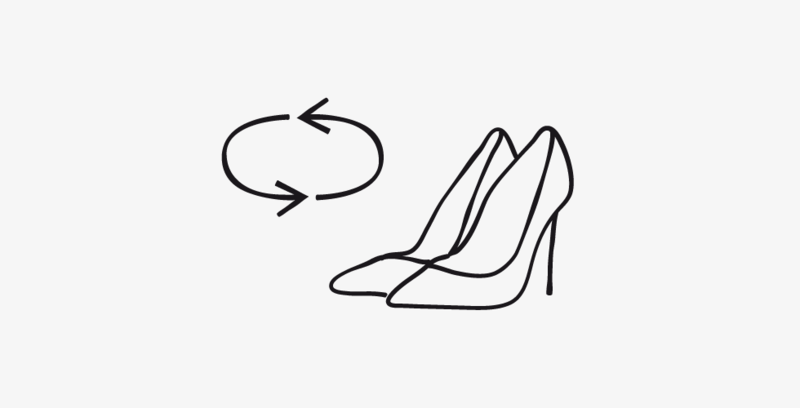 Slip yours on for a cool finish to cropped denim looks.